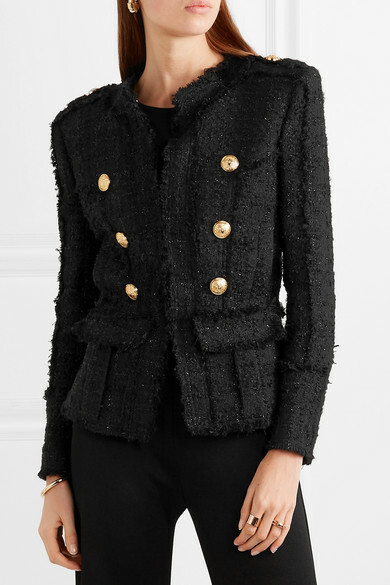 Each season our Balmain buy gets bigger because Olivier Rousteing's designs just keep getting chicer. 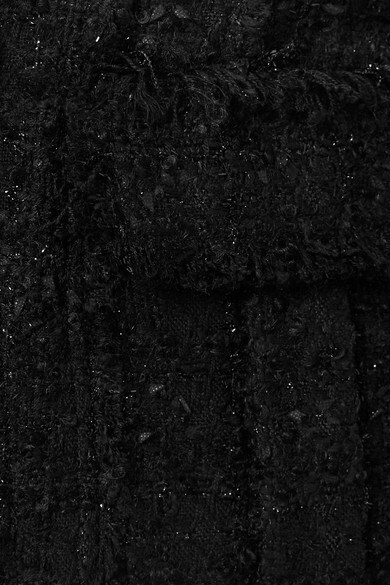 Guaranteed to be a hit, this collarless blazer is tailored for a slim fit from glistening black tweed woven with touches of cotton, mohair and wool. 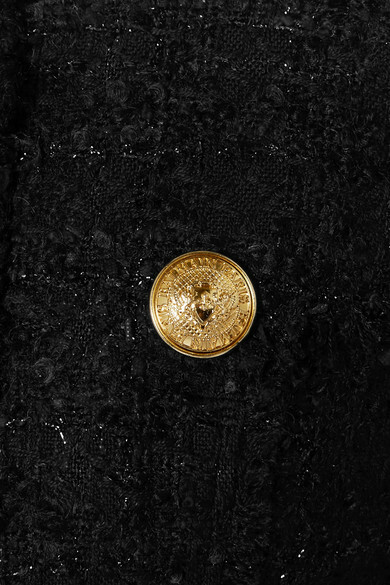 It has signature 'power' shoulders and is embellished with embossed gold buttons. Wear yours over a logo T-shirt or a slinky camisole. 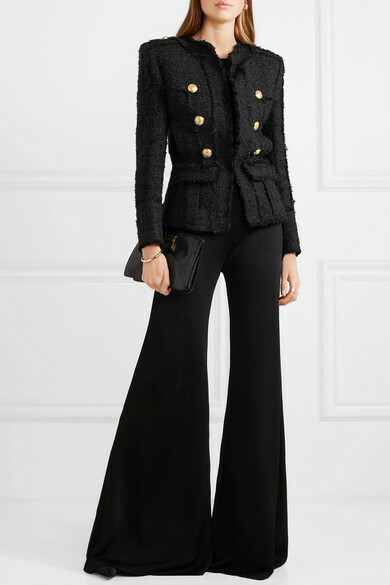 Shown here with: Balmain Pants, Givenchy Shoulder bag, Christian Louboutin Pumps, Jennifer Fisher Ring, Paola Vilas Ring, Ellery Earrings, Sophie Buhai Bracelet.